NEW YORK, NEW YORK, September 6, 2018 — As one of the first major storms of the year looms over the East Coast, many travelers may be caught off guard if their vacations are impacted, according to TravelInsurance.com. 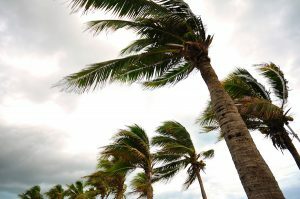 But for those who purchased travel insurance already, many of their trip costs could be covered for travel interruptions or cancellations if directly impacted by Hurricane Florence. Review your policy. Take the time to review the policy and note the covered reasons listed in the plan’s trip cancellation section. If it isn’t listed there, it likely isn’t covered. Write down your policy number and keep a list of important contact numbers provided in your plan, including for 24/7 global assistance, customer service, and claims. Make contact. Most travel insurance plans provide 24/7 global travel assistance; travelers should take advantage of it. Typically, the plans include a wide range of assistance services to help get through travel delays, rebookings, and even emergency medical evacuations. Many plans also include concierge services and business assistance services. Keep relevant documents. Depending on the specific issue encountered, certain documents for verification purposes will be required. It is very important to insist on these papers and keep them safe, as it might slow down or impact the claims process without them. During a storm, official documents from the airline in the case of a delay or cancellation may be needed. If unsure of what documents will be needed, call customer service or review the claims procedures listed in your travel insurance documents. Create a folder to save all of your travel receipts including airline tickets, hotel bookings or cruise tickets. Also, make sure you document any loss. Having well documented travel receipts and proof of loss will save you time and hassle, which means you are more likely to have your claim paid quickly. Submit claim. Filing a claim is mostly about paperwork, filling it out correctly and professionally. If you are unsure of anything, it’s best to ask questions directly before submitting. Most insurance providers require you to file a claim within a specific period of time from the event of loss. Some insurance providers may offer a period of a few weeks, while others may offer a period of one month to file a claim.